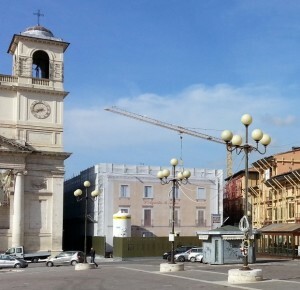 Strengthening of steel floor structures in Aquila, Italy. It has been possible to restore and strengthen existing floor structures in the historic old town centre of Aquila by adding only 3cm of fibrereinforced concrete on top of the original, binding old and new together with connectors. 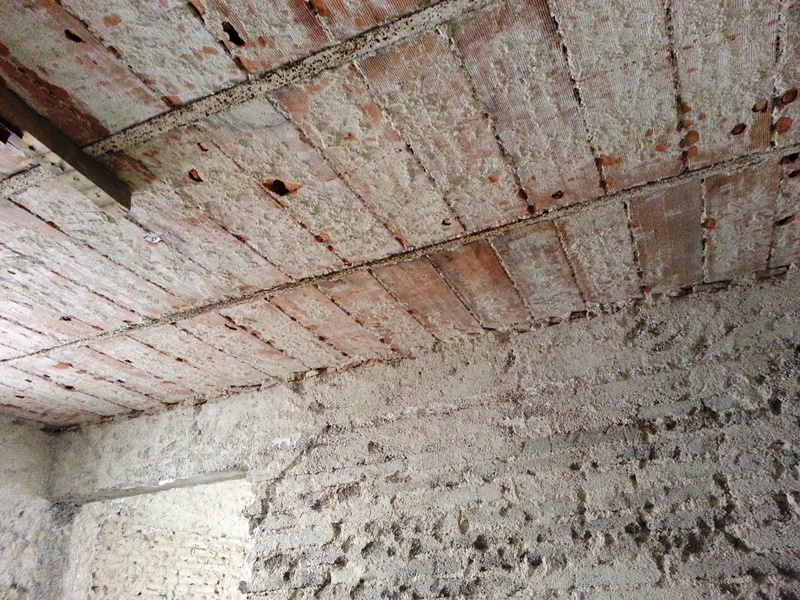 The Building Conservation Authorities have approved the structure as it limited the added layer to a maximum of 3 cm. The reinforcement slab was created using fibrereinforced REFOR-Tec ® microconcrete. This product has an excellent mechanical performance yet limited thickness, thanks to the use of steel fibres substituting the traditional welded metal mesh. 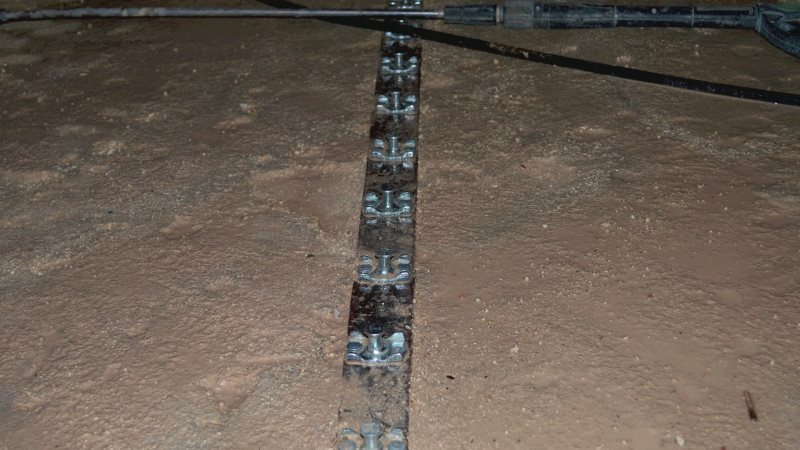 This new concrete slab is united and collaborates with the existing steel IPN steel beams through the use of special connectors. Tecnaria CTF 025 connectors have a reduced height of 25mm. 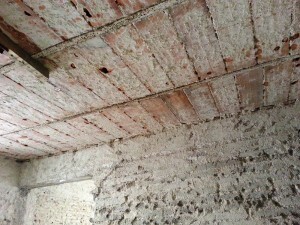 They are fixed to the beams using two high resistance nails. 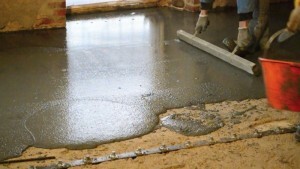 The fixing process is untertaken using a special nailing gun, available on loan from Tecnaria. 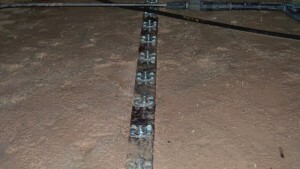 The fixing process avoids the need of any welding, which is a difficult task and almost impossible to undertake satisfactory, due to the chemical composition of the old steel beams. Fixing by nailing has the advantage of being quick and simple. 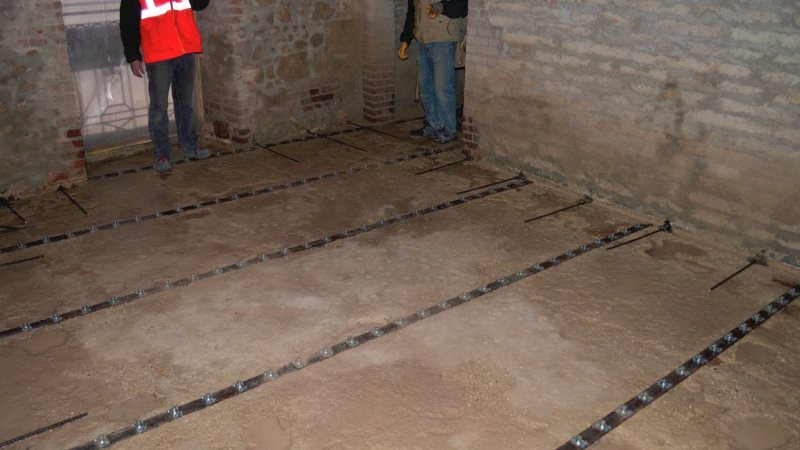 2) the concrete slab, once mechanically fixed to the existing floor, is to be considered as being a rigid diaphragm capable of transmitting eventual sismic movements to the perimeter walls. To watch a video of the various phases of work, click here. To download information sheets, click here (available only in italian).